The aim of this tailor-made agreement is to promote trade between the EU and African states and contribute to sustainable development and poverty reduction. Once signed by all 16 partners, including Nigeria and Mauritania, the Agreement will be submitted for ratification. Meanwhile, Côte d’Ivoire and Ghana have already opted for stepping stone agreements that will in future be replaced by the regional EPA with West Africa. On 26 October 2018 a Joint EU-ACP (African, Caribbean, and Pacific Group of States) Ministerial Committee on Trade will take place in Brussels to discuss the state of play of the seven Economic Partnership Agreements between the EU and countries of Africa, the Caribbean and the Pacific. 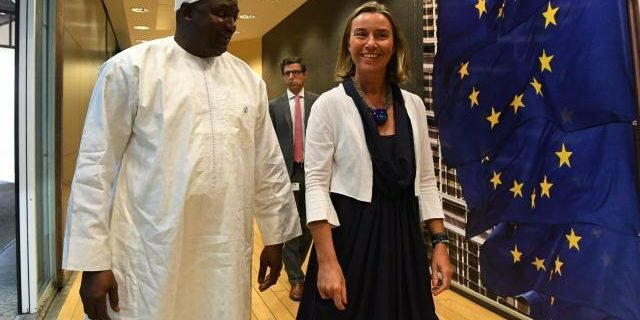 The EU is the world’s most open market for African exports. See the factsheet for more information about EU trade with Africa and dedicated pages for specific information about West Africa and the Economic Partnership Agreements.